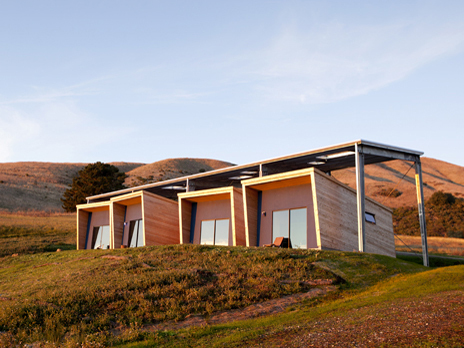 Mission: The Djerassi Resident Artists Program has provided over 2,000 artist residencies, and currently serves approximately 90 artists each year, since 1979 – all free of charge. It is the largest artist residency program in the Western United States and considered among the best in the country. Each year dozens of artists from across the United States, and around the world, travel to the open hillsides and deep redwood forests of SMIP Ranch to take inspiration from the beautiful surroundings and seek refuge from the distractions of the world to concentrate on their creative projects. While in residence, the artists work in peaceful isolation within a supportive community of other artists and Program staff. They thrive on the intellectual stimulation and the collegial interaction in this intimate artist community. Cost: No costs. Artists must cover the cost for travel and materials. GERALD OSHITA MEMORIAL FELLOWSHIP FOR COMPOSERS: Contributed by an anonymous donor, the Fellowship is designated for a composer of Asian, African, Latino, or Native American ethnic background. 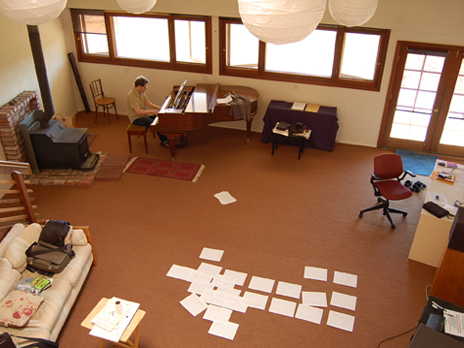 The Oshita Fellow receives a one-month Djerassi Program residency, during which the recipient is free to compose, study, rehearse, and otherwise advance his or her own creative projects, plus cash stipend. Accommodations: Residents accommodations on the ranch are determined according to artistic discipline and creative project. Living quarters and studio space consist of a four-bedroom house a unique, remodeled twelve-sided barn and the new Middlebrook Studios. The rooms in the Artists’ House are set up to accommodate writers, each with a large desk, work space, and outdoor deck. The Artists’ House also contains the main kitchen, living and dining area, a library, laundry facilities, shared bathrooms, and a large deck. The Artists’ Barn contains three visual art studios, a large dance studio, a darkroom, and a music composition studio with a baby grand and electric piano. The studios are rustic with wood burning stoves and modest sleeping lofts. There is also a kitchen, a large common area, shared bathrooms, and laundry facilities in the Barn. The Middlebrook Studios consist of four private live/work studios for writers, media artists and other artist with clean/non-messy projects. The studios each have private bathrooms and outdoor space. The Program employs a chef who prepares communal dinners Monday through Friday, and provisions both kitchens. Residents are expected to prepare their own breakfasts, lunches, and weekend dinners using ingredients supplied by the Program. Vegetarian meals are available. Accommodations are limited to selected individual residents only. No accommodations for spouses, partners, or children are available. Friends or family who are in the area for brief visits cannot be accommodated overnight at the facility. They are welcome for day visits and dinner at the ranch. No personal pets are allowed. Couples must apply separately with the understanding that each applicant will be reviewed separately by their discipline’s panel. If both artists are selected, we will make every effort to schedule you at the same time and arrange appropriate accommodations. Separate studios will be assigned unless otherwise requested. Please note on your applications if you would like to share the same living quarters. 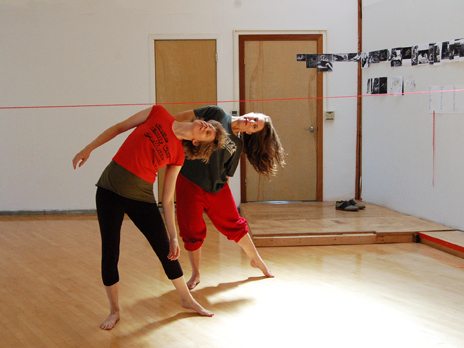 Artists who plan to collaborate during the residency must submit individual applications. Work space needs should be clearly specified (i.e. whether or not separate studios are required). Also indicate if you are interested in attending as an individual artist. A slide projector and screen, digital video camera, digital video projector, TV, and VCR can be checked out to use on projects or for presentations. Standard power tools can be checked out of the shop. There are Internet/email stations set up in common areas to be shared by all of the residents. The email/work station in the Artists Barn is an iMac Intel with Adobe Creative Suite 5 Production Premium and Microsoft Office. It has a scanner and large format printer connected to it.The Djerassi Program has a WiFi Internet connection. Personal cell phone coverage may vary depending on the provider. Demographic/Medium: Literature, fiction, nonfiction, poetry, drama, translation, and librettos | Visual Art, painting, drawing, sculpture, photography, mixed media and installation art | Music Composition, instrumental forms (symphonic, chamber music, band), vocal forms (opera, choral, songs), electronic music, and music for film. | Choreography, artists working in choreography. | Media Art/New Genres, film, video, multi media, performance/experimental theater, sound and radio. National and International artists. We seek applications from emerging and mid-career artists, for whom appointments as resident artists may make a significant difference to their careers, as well as from established artists with national and/or international reputations. Benefits: The Program employs a chef who prepares communal dinners Monday through Friday, and provisions both kitchens. Residents are expected to prepare their own breakfasts, lunches, and weekend dinners using ingredients supplied by the Program. Vegetarian meals are available. 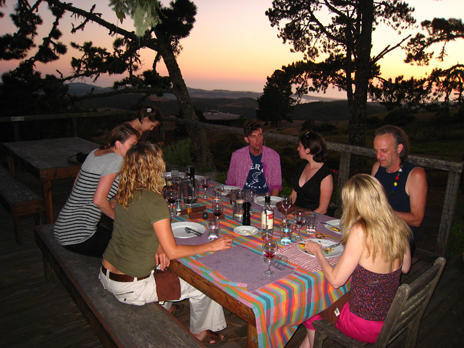 The Djerassi Program is located in a spectacular rural setting in the Santa Cruz Mountains over-looking the Pacific Ocean, yet is within easy driving distance of San Francisco and the rest of the Bay Area. Annual temperatures range from lows in the mid-30s to highs in the mid-90s. Fog and wind occur during the spring and fall months. The rainy season extends from October through May, but there are sunny days all through this period. 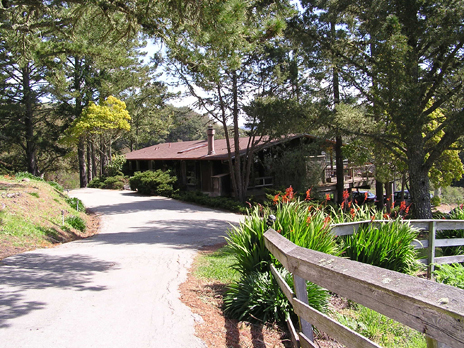 The property is located 40 miles south of San Francisco and 15 miles west of Palo Alto. The special quality of the residency experience centers around its genuine “retreat” atmosphere. There is no access to public transportation from the ranch. Rides to Palo Alto for errands are provided by the staff at least once a week. Transportation to and from the San Francisco Bay Area airports is provided by the Program on the first day and last day of each session. There are 6 residency sessions each 30 days long from mid-March through mid-November. No shorter or partial residencies are offered. Session 3 (June 30 – July 29) is for *Scientific Delirium Madness* only. Posted in California, Djerassi Resident Artists ProgramTagged African, Artist, artist residencies, Artist Residency, artists, asian, baby grand piano, band, Bay Area, California, cash stipend, chamber music, chef, choral, choreography, collegial, communal dinners, community, compose, composers, creative projects, Creative Suite 5, dark room, digital video camera, digital video projector, Djerassi, drama, Drawing, electric piano, electronic music, email/work station, Emerging, experimental theater, Fellowship, fiction, Film, Gerald Oshita Memorial, installation art, instrumental forms, intellectual, interaction, International, intimate, large format printer, latino, laundry facilities, librettos, Literature, media art, mid-career, mixed media, multi-media, music composition studios, music for film, national, native american, new genres, no costs, nonfiction, opera, outdoor space, Pacific Ocean, Painting, Performance, Photography, poetry, power tools, production, Program, radio, refuge, rehearse, resident, San Francisco, Santa Cruz Mountains, scanner, screen, Sculpture, sleeping lofts, slide projector, SMIP Ranch, songs, Sound, stimulation, Stipend, studio space, study, symphonic, translation, TV, United States, VCR, Video, vocal forms, western, wood burning stoves, Woodside, work spaceBookmark the permalink.